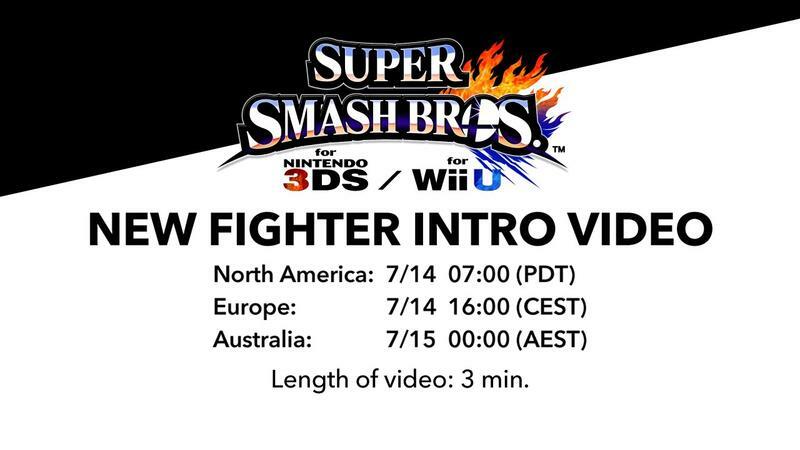 [UPDATE - Over] Watch Today's Smash Bros. Character Reveal Right Here at 7AM PT! On Friday of last week, Nintendo announced that they'd reveal a new character in Super Smash Bros. for the Wii U and Nintendo 3DS on Monday morning. Here we are, on Monday morning, and we've got the video ready for the reveal. Embedded above is the YouTube link that Nintendo provided for the news. It will go live at 7AM PT, and it's set to run for three minutes. Following the news, we imagine Nintendo will release their usual round of screenshots and such for the new combatant. We'll be sure to have those for you as well. So, any last minute guesses on who the fighter will be? While you wait for the stream, catch up on Ron's thoughts on who's still missing from the currently announced roster. Maybe he'll need to update his post after this morning.